There are many ways to save on your air conditioning bills. Here are some suggestions to reduce your energy costs. Replacing an older system with a high efficiency one can save you thousands of dollars in energy costs. Older systems operate around at 65% AFUE (annual fuel utilization efficiency). New high efficiency systems offer AFUE ratings well over 90%, which is great for your bottom line and the environment. High efficiency systems often pay for themselves in a few years or less. In addition, these systems come complete with variable speed motors – ensuring consistent air flow throughout your home. Better air flow means better regulated temperature. Better air flow also helps to remove air impurities and prevent mold. Upgrading, in general, creates a more pleasant, quieter, and healthier breathing environment for everyone in the household. During the summer season, it is generally recommended that you set your home’s cooling system to 78 degrees Fahrenheit when you are home. If you will be out of the house for many hours, raise the setting so the cooling system only activates if the temperature goes above 88 degrees Fahrenheit. For each degree higher you set your thermostat over 78 degrees Fahrenheit, you’ll save approximately six to eight percent off your home energy bill. Keeping the room temperature a little higher and properly managing your settings can save you a lot of money. 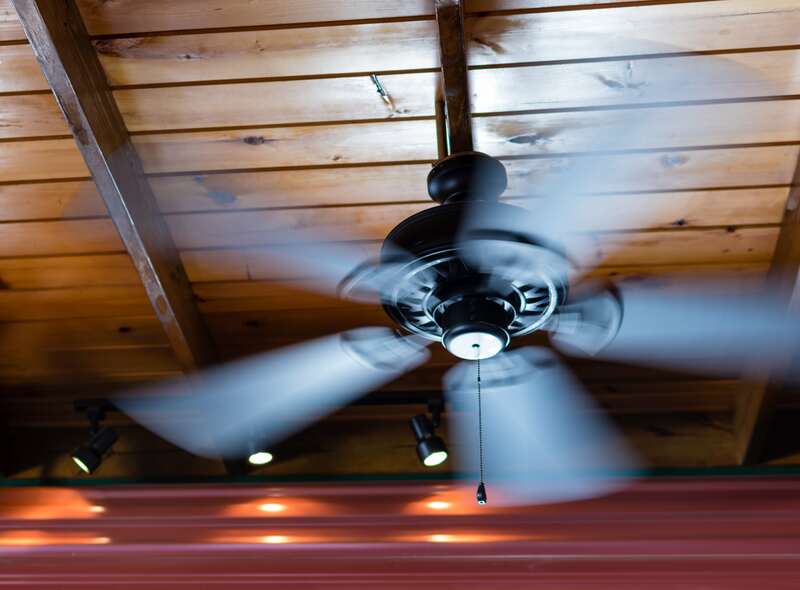 Ceiling fans are one of the best ways to keep cool in the summer. Run ceiling fans counterclockwise during the hot weather months to push the air downwards, creating a circulation of air. Ceiling fans make you feel cooler in the summer by creating an artificial breeze – helping evaporate moisture from your skin. Using a fan allows you to set your thermostat higher, helping you save money. When a ceiling fan rotates counterclockwise, the slant of the blades pushes air down, causing a noticeable breeze. This cooling effect doesn’t change the temperature of the air, it only makes you feel cooler in otherwise higher ambient room temperatures. Your HVAC technician should lubricate all moving parts in your air conditioning system. Parts that lack lubrication will cause friction in the motor, increasing the amount of electricity used to operate the unit. Have your technician check and inspect the condensate drain in your central air conditioner, furnace and/or heat pump. A plugged drain can cause water damage in the house and alter indoor humidity levels. Your technician should also check the controls of the system to ensure proper operation. The start-up cycle, operation, and shut-down cycle of the unit should also be checked for any inconsistencies. During your yearly maintenance check, have your technician clean the evaporator and condenser air conditioning coils. 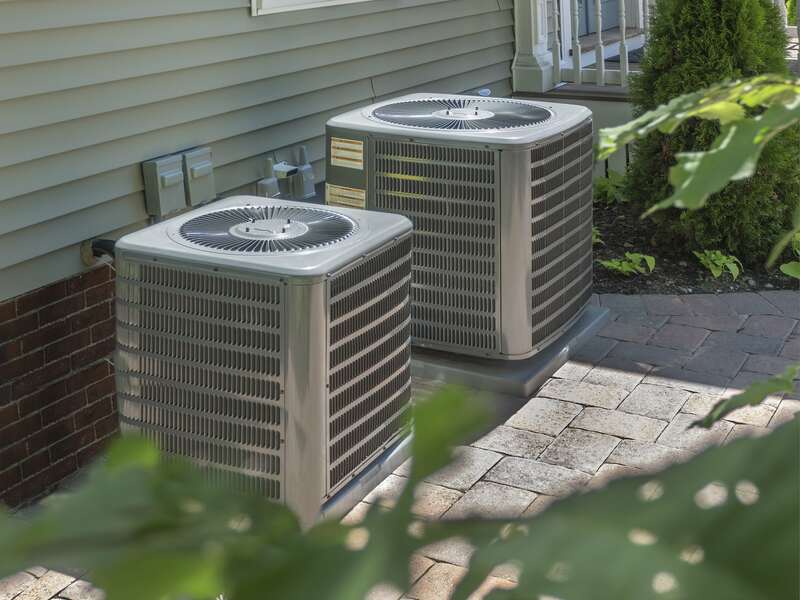 Dirty coils reduce the system’s ability to cool your home and cause the system to run longer, increasing energy costs and reducing the life of the equipment. In addition, have your technician check your central air conditioner’s refrigerant level. 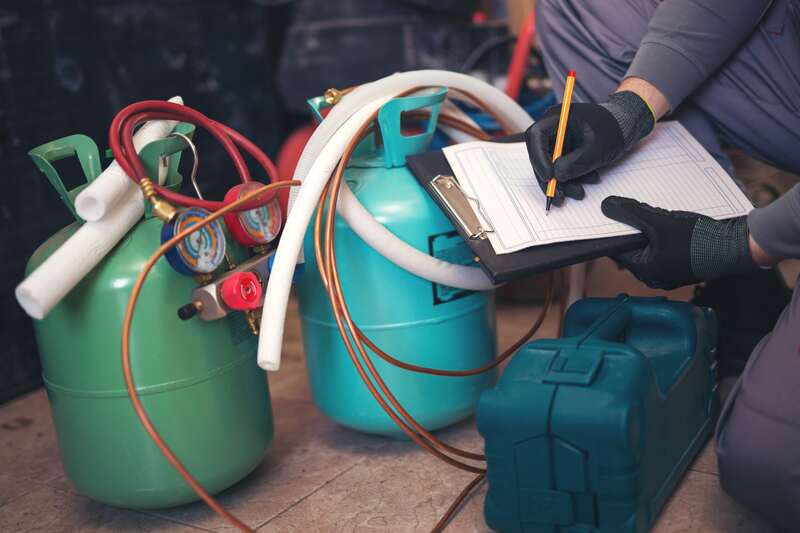 Too much or too little refrigerant will make your system less efficient. Lastly, be sure to have your technician clean and adjust blower components to ensure proper system airflow. Airflow problems can reduce your system’s efficiency by up to 15 percent. Spectroline offers the best leak detection products, maintenance kits, and sealants on the market to help you diagnosis and maintain your air conditioning system. Programmable thermostats can offer real cost savings. You can adjust and manage room temperature precisely with programmable thermostats. 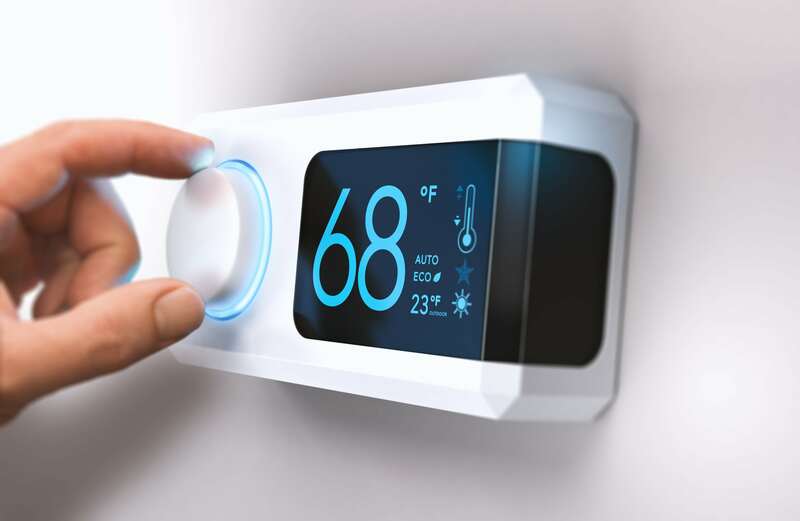 Higher-end, Smart thermostats can record how you use your heat, water, and air conditioning systems – helping you manage those systems to optimize your energy efficiency. For each degree you raise the temperature in your home during the summer months, you will save up to 2 percent on your utility bill. By creating a cooling schedule with your programmable thermostat that follows your household’s everyday routine, you will maximize on the operational efficiency of your unit. 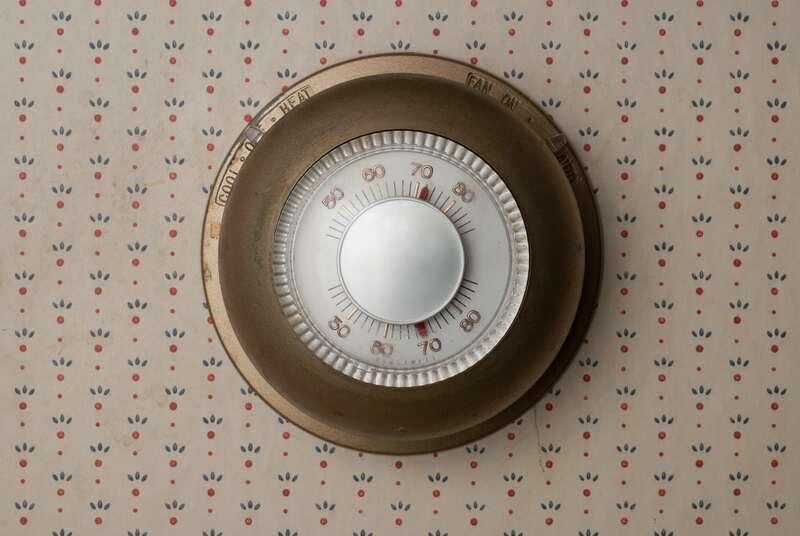 Another big benefit of programmable thermostats is their ability to maintain uniform temperature throughout your home. Instead of turning your air conditioner on and off repeatedly, programmable thermostats manage your air conditioning system consistently. 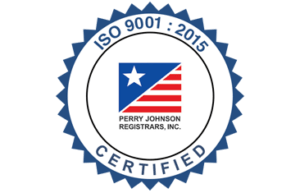 By adopting the simple steps mentioned above, you can save thousands of dollars in utility expenses, avoid excessive wear-and-tear to your unit, and do your part to conserve the environment.